Advancements in technology have changed the way we do almost everything our businesses, and security is no exception. Traditional alarm systems offered protection from an intrusion but today they do a whole lot more. Updating your security system to TELSCO Connect Interactive not only provides improved security, but also offers enhanced convenience and valuable insights for your business. Before we go any further; What is Interactive Security? 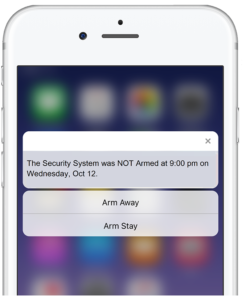 An interactive security platform allows you to interact with your security system in real time using a smartphone, tablet or PC. Rather than a system that simply pushes out alarms to a monitoring centre, you can access your system and make updates or request information instantly – from anywhere! Let’s take a look at how Interactive Security Adds Value. 1. 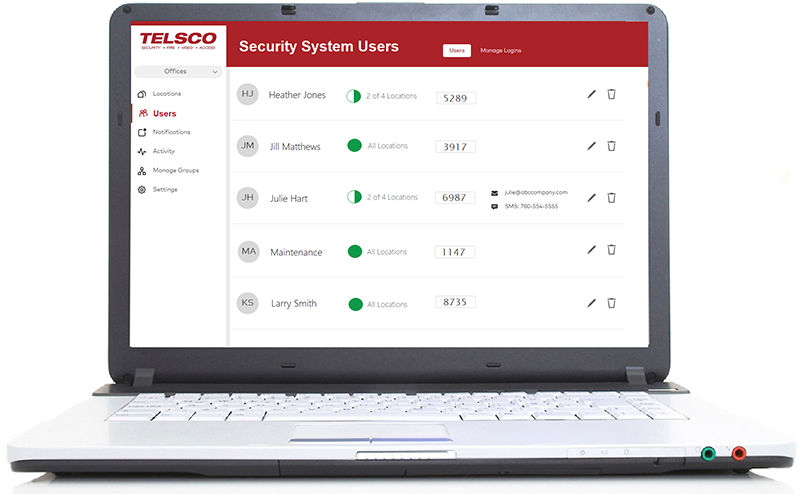 User Codes made easy – Managing user codes on a traditional alarm system can be a big pain – Keeping a spreadsheet of users and their code positions, finding the instructions for how to make the updates, having someone onsite to make the change – It’s not easy. Some might say it is easier to have one user code for everyone, but we certainly would not recommend this because of the security risks it poses. Staff that leave may remember the code and you have no information about who is coming or going in the building. With TELSCO Connect, user codes can be updated easily from anywhere using your PC. Individual codes are simple to set up, easy to delete instantly if a staff member leaves, and when someone punches their code into the keypad, you can receive a text with their name to know who is coming and going. With a plan specifically for multi-site businesses, a code can be entered for multiple locations by a single person in one easy step. 2. Know when your business is opened for the day – If you have a brick and mortar location that customers visit, you know how important it is that your shop is opened on time. You don’t want anyone standing outside at 9:02 wondering why the door is still locked. With TELSCO Connect, you can receive a text or email letting you know if your store is not opened when expected. This helps ensure you don’t miss out on any sales opportunities or have your customers headed to a competitor. 3. Make sure your business is secured for the night – Having a security system is great (we highly recommend it), but it won’t do much to help if it is not turned on. With TELSCO Connect, your security system can send you a text or email if it has not been turned on for the night. The best part – you don’t have to drive back to the shop to turn it on – you can do it directly from your smartphone. 4.Improved Security – Interactive Platforms utilize a dedicated cellular communicator to enable all of these amazing features. With this cellular communication path, you no longer require a phone line for alarm monitoring. Not only does this eliminate the risks that come along landline communication (service outages, vandalism), it may allow you to cancel a fax line or landline that you have been hanging onto strictly for security. Contact our team today to learn more about interactive security for your business.